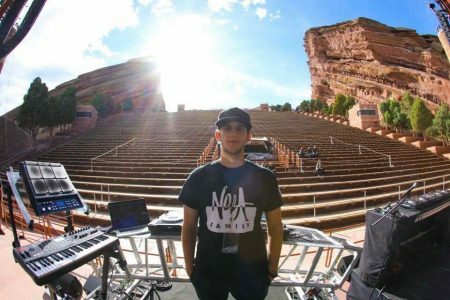 For the last six months, we have steadily talked about melodic bass artist Illenium. From live sets, Reddit AMA’s, and song releases, we haven’t been shy about Nick Miller’s music. And once again today, we’re excited to share epic news with the Illenium fanbase. Miller, aka Illenium, will announce a release date for his latest studio album on Monday. The announcement was posted by Miller himself in the Illenials family group. A full 13 track set list was also posted, with collaborations from multiple artists including: NEVVE, Ember Island, Said The Sky, Eden and others. You can view the track-list below. 2017 has without a doubt been the year of Illenium. If past success has indicated anything, this album will be one of the hottest releases of 2017. Pre-order will officially be available next week! Visit here for more information. This picture was released before leaving came out. It was a leak.